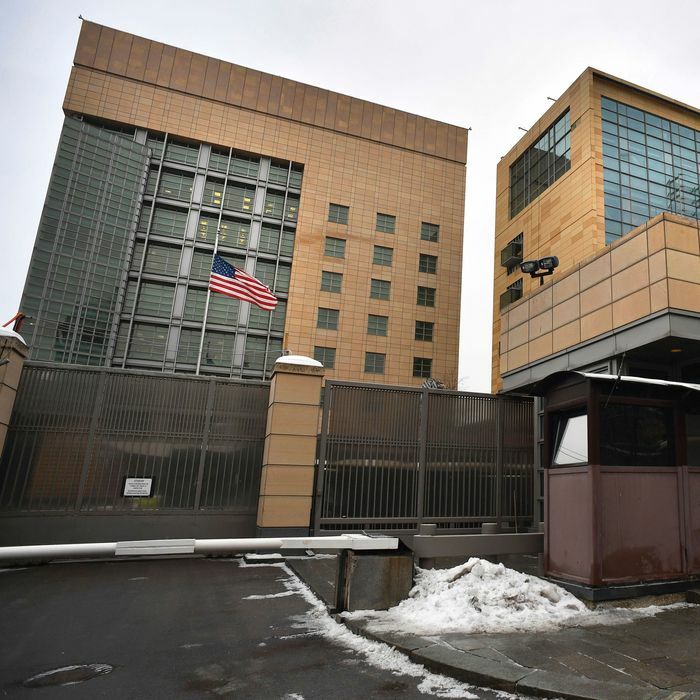 Hours after the Senate voted 98–2 to send new Russia sanctions to President Trump’s desk, Moscow retaliated by ordering the U.S. embassy in capital city to reduce its staff and closing two properties used by U.S. diplomats. The U.S. has been asked to cut its number of staff in Russia to 455, the same number of Russian diplomats currently in the U.S. Those cuts will be made not just at the embassy in Moscow, but also the consulates in St. Petersburg, Yekaterinburg, and Vladivostok. The wood-panelled house is a place where US diplomats can let their hair down. It has a pool table, dart board and picnic area. It is an unpretentious building. One visitor likened it to a 1970s scout hut. Congress’s new sanctions have triggered those moves, and the foreign ministry warned Thursday that more could be coming. “On the basis of reciprocity, we reserve the right to additional measures, which could affect U.S. interests,” the office said.